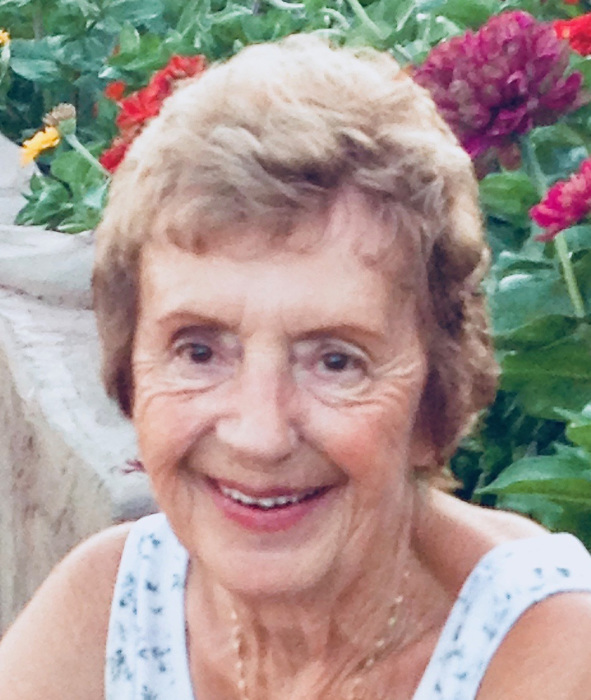 Obituary for Beverly Joan (Smith) Cockell | Providence Funeral Homes & Crematorium Inc.
Beverly Joan Cockell passed away at Moog and Friends Hospice House with her loving family by her side on September 7, 2018 at the age of 83. She will be deeply missed by her five children Keith (Anna), Daryl, Charlene, Diane, and Brenda; and grandchildren Dustin, Emily, Shelby, Brandon, Colin, Cayley, and Tristan. She was predeceased by her parents Ted and Doris Smith, and sadly, by her loving husband Howard, just over three months prior. Bev was born and raised in Nanaimo, BC as an only child. She ventured to Penticton to stay with relatives and obtained work at Kelly Douglas. It was during her walks to work that she met her future husband of 62 years. Bev was a devoted housewife and mother to her husband and five children, which taught her to be frugal and strategize the limited monthly budget. She was a highly involved hockey and figure skating mom, and also took her kids to swimming lessons at Rotary Beach and to Kelowna for weekly music lessons. Bev took care of her husband Howard after a stroke and car accident left him disabled 17 years earlier. In sickness and in health, she stood by him and took care of him. Bev enjoyed sewing, gardening, flower arranging, shopping, and helping Diane with her crafts. Over the years not only did she run the busy household but the family orchard, Mountain Berry Farm, and "Mom's Taxi Service" for her kids. She was full of energy and enjoyed socializing with her children's friends or anybody she met in her daily path. In her own time of need, Bev realized another reason she had five children. "I've got you all running in different directions," she commented. Being strong willed, she reiterated: " I'll tell you when it's time for me to go to hospice." Bev's presence will be immensely missed by her children and all who knew her. The void she's left cannot be filled. Memorial tributes may be made to a cancer society of your choice.